Aston Martin has announced plans to ditch its Cygnet supermini after dismal sales. The luxury British car manufacturer had expected to sell around 4,000 units a year. However, the well-off city dwellers whom the car was intended to be targeted at have not been fooled by what is essentially a Toyota IQ with a premium interior. The preposterous £31,000 price tag has clearly trumped the appeal of a brand made globally famous in early James Bond films. Not even 150 units were shifted by the company. Ian Fletcher, an automotive analyst at research consultancy HIS, commented on the decision. 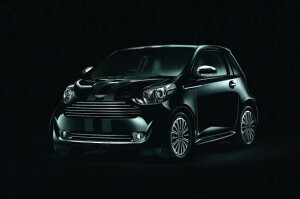 He said: “The Cygnet was intended to catapult the brand into a new market but at roughly double the price of many competing cars in that segment, it was misjudged by Aston Martin. Problems are mounting for Aston Martin, who posted losses of £34.1 million last year. Production is due to finish by the end of the year. Used models are available for a significant discount and you can find listings at AutoOnline.co.uk and CarDealerLocator.co.uk.